Looking for ideas for keto diet snacks? Then, we have you covered with our best keto snack lists with snacks to buy or to make with little effort… Enjoy! If you have questions about snacks for your keto diet or whether you should even be snacking whilst on a ketogenic diet, then ﻿go straight here﻿… This is also where you will find our keto popcorn substitutes. Should I be Snacking on a Ketogenic Diet? Can I eat peanut butter on a ketogenic diet? I keep different types of keto snacks for different reasons and situations. When I am out and about packaging and convenience are more important. When I am at home, quick is still important, but I have way more options. Are you looking for the easiest and best snacks you can buy, ones you can make yourself or the best low carb high fat options for when you travel? My best nut butter is Macadamia Butter as it has the highest fat count and the lowest net carb count of all nuts. I always have a container of this macadamia or almond butter in the fridge and whenever I feel like I really need a bite to eat, I eat a teaspoon of this nutritionally dense goodness. A salty fatty snack, which is low in carbs and low in protein. My favorite is these Paleo Thin Crackers. Their net carbs per portion (6 crackers) is 5 grams, so not impressively low, but still less than 1 gram per cracker. They are made with almond and cassava flour and various seeds and flavoring. The flours give them more of a biscuit texture, which is more appetizing than crackers that are made only with seeds. Cream Cheese is one of those must have items for your ketogenic kitchen. Or use as a dip with celery, cucumber or other low carb vegetables. If you are looking for a low carb crunchy snack, then give these a go. What can be easier than slicing up an avocado and enjoying the slices with salt, pepper and a little lemon? I love them though as they are made with top quality ingredients like grass fed beef, wild caught salmon and 100% natural pork. These bars are made from all natural Wisconsin cheese and are baked to achieve the perfect crunch. With 12 grams of fat, 8 grams of protein and less than 1 gram of net carbs per serving these are perfect as a crunchy low carb movie snack or any time on the go snack. There are so many low carb ketosis snack recipes and even zero carb recipes available on the internet, that it can be a little overwhelming. Find a handful of good and easy to make recipes and use them as your staple recipes. When you start out on a keto diet, this is probably the most important snack you can add to your diet. Use Parmesan cheese and sesame seeds as a base and add any spices or herbs you may like. Dried onion works well, so does paprika and oregano. As you can see on the picture, I like rosemary on mine. Grate the cheese and sprinkle them on parchment paper. Sprinkle over the sesame seeds and flavoring. Bake in the oven for a few minutes until crispy. Make a batch and keep them in the fridge for when you need them. I use whatever ingredients I have available and use this basic recipe as a base for all my ketogenic egg muffins. Your options for roll ups are unlimited. Roll ham, turkey or pepperoni slices around cream cheese, feta or any other cheese you like. 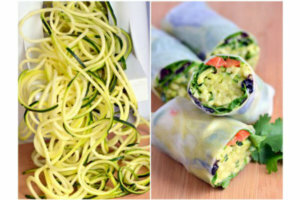 For a less meaty snack, make your roll ups with cucumber or zucchini ribbons. It is the perfect snack for any time. Make extra and keep them in your fridge or just bake a few slices in the oven when you feel like a bite to eat. I make these by grilling a few slices of bacon in the oven until crispy. Once they are cold I crumble them into small pieces. At the same time I hard boil eggs, which I mix with butter, low carb mayonnaise, salt and pepper. Bake thinly sliced pepperoni slices in the oven until crisp. They are great with dips or cheese or just on their own. Slice zucchinis very thin and bake in the oven until crispy. You can bake them, just as they are or add salt with pepper or paprika. Add a thin coating of Parmesan cheese and you have a divine snack. For these goodies, use zucchini as a pizza base. Top zucchini slices with a low carb marinara sauce or homemade salsa, cheese and pepperoni slice. Bake in the oven for a few minutes until the cheese is melted and crispy. Click on the image to go to the recipe. For more zucchini snack food ideas check out our zucchini finger food recipes. I know this may sound a little weird, but it is a high fat zero carb snack that will get you through any salt craving you may have. Mix a tin of sardines with three ounces of butter. Store it in the fridge and enjoy a teaspoon full when you need a salty fat boost. I usually have coffee with MCT oil and grass fed butter for breakfast, but it also makes for an excellent snack whenever you are a little hungry. I prefer Bulletproof Brain Octane Oil, but if you prefer a more affordable option, then this C8 and C10 MCT oil blend is good value. If you'd like to know more about MCT oil, then check out my comparison of the best C8 and for best value the best MCT oil, which is a C8 and C10 blend, but still very potent. Cut a cucumber in half, remove the seeds and fill them with cream cheese or tuna mayo or cheese and ham. Whenever I make meat balls, I make extra ones for snacks. I form these into smaller bite size balls that is perfect for a quick mouthful. I keep them in the refrigerator for up to four days and if there are any left I will freeze them. I like leftover food as ketosis snacks, because the food I cook is generally higher in fat and low in carbs so is automatically keto friendly. It is also cheaper than most ketogenic snacks that you will buy. When I make almost any chicken dish, I will add extra drumsticks or wings, so that I can store them for when I need a snack. For a portable snack, they are great when fried crisply in the oven, without any sticky or messy sauce. Cut thin cucumber slices and top with tuna and keto friendly mayonnaise. These are simple to make and beyond good. Every time I make them, I want to get up and do a happy dance. But this is a super indulgence and the carbs add up really quickly, so enjoy them as the exception rather than the rule. It is best to make them with pecans because of the lower net carbs, but as you can see here I made them with walnuts as that was what I had available. You want your sauce dark, but not burnt. Keep the temperature low and continue to stir. I often take mine off the heat too early, because I am scared of burning it. It still tastes great, but does not stick well to the nuts and may be a little runny. Fat bombs are morsels packed with fat, some protein and usually with almost no or very little net carbs. This is a really good way to get more fat into your diet without upping your protein too much. Some would call these fat bombs, but this mousse is so divine that it deserves to stand on its own. ​I generally use perfectly ripe avos for this mousse, but it is also a good way to use up over ripe avocados. It doesn't need much mixing, but you definitely don't want green bits in your mousse, so be sure to mix it until everything is mixed through. Experiment with all these ingredients according to your own taste. You may prefer less or more sweetener and the same with the cacao. Most normal cookie recipes can be converted to keto friendly versions. For our favorite cookie recipes that either convert old favorites to low carb sugar free versions or brand new ketogenic inspired recipes check out our easy keto cookies roundup. Enjoy fresh berries with heavy whipping cream. Blend frozen berries with cream for a healthy ice cream snack. This is my friend Martie's go to keto treat. She mixes 1 teaspoon of cocoa powder, 2 teaspoons of sweetener, hot water and a little cream for a keto friendly evening treat. The best keto on the go snacks are the ones that are easily packaged in small portions, easily fit into your hand and is not messy to eat. I always carry nuts with me, so I never have to worry that I need something to eat and have nothing with me. As you know, all nuts are not made equal and have different net carbs. The three best nuts based on net carbs are pecan nuts, macadamia and Brazil nuts. For the most and the least keto friendly nuts, check out this picture from Diet Doctor. I like Choco Perfection's small 0.36 ounce chocolate bars. These delicious European style chocolates are sweetened with erythritol. A salty treat low in net carbs and protein. Perfect for on the go or after a workout. Salami sticks are great low carb high fat snacks as long as they have no cereal or wheat based fillers and no added sugar or corn. Double check labels. These flavored pork rinds are packaged in individual 0.7 ounce packs and is a great zero carb snack to carry with you. I like the rosemary and Sea salt flavor, but they are also available in Malabar black pepper and Habanero. Exogenous ketones give you fast energy and is the perfect keto snack for hikers. These sachets are expensive so I only use them when I am out hiking. If you travel a lot for work, they can also be helpful. Many of the snacks listed above in the in the Keto ﻿Snacks t﻿﻿o Make at Home﻿ section is ideal as on the go snacks. My favorites to carry with me are the egg muffins, meat balls and drumsticks as savory snacks and fat bombs or cookies for when I need something sweet. From my experience, the best affordable ketogenic snacks are the ones you make yourself or leftovers from lunch or dinner. Check out the list of ketogenic snacks to make yourself ﻿here﻿. Pork rinds is the perfect no carb high fat snack. You'll find that prices and quality may vary a lot between brands. They are one of those essential items that is a must have in your keto kitchen. You'll want them not only for snacking, but also for breading and toppings. They are great for that crunchy taste in many dishes where we normally would use bread crumbs. Seeds are generally a well-priced affordable snack option. Mix a few different types together and enjoy as a quick ready-made snack. Maybe not an original idea, but easy to make and the perfect snack to have on standby. They are also perfect if you are trying out an egg and fat fast. Like I discussed earlier, thinly sliced cucumber with tuna and mayo makes for an affordable keto snack and so does tuna, mayo wrapped in lettuce leaves. If you are eating keto on a tight budget, then one of your best option for keto diet snacks are leftovers from your meal the night before. Pinterest is an amazing source for low carb high fat snack ideas. These are easy to prepare and can help you to succeed with a ketogenic lifestyle by bringing variety into your diet. Find this list here on Pinterest. Portion these out before snacking to avoid eating too much. These ketosis snacks are all as easy as opening the fridge or takes less than 15 minutes to prepare. As Michael Joseph states on his site, these are all suitable for a ketogenic diet and to keep blood sugar stable. Check them out here on Pinterest﻿. This list was prepared by Iona from Low Carb Spike. Find it here. Not really, but if you want to, it is okay. As long as you are sure that you are hungry and not thirsty. Sometimes I find that I feel like something to eat, but then realize what my body really need is water. So when you feel like a bite why not first check whether you are not thirsty? When you follow a ketogenic diet, you most likely are not hungry and don’t need to snack. If you are not hungry, don’t eat. Put the idea of having three meals and two snacks per day out of your head. We only need to eat all the time when glucose is our main source of fuel. Fats keep us satisfied much longer. If you feel like a snack though - have one. Just make sure you have healthy low carb snacks on hand. I always have some keto friendly snacks at home and in my handbag. I used to snack a lot and I still do occasionally, but now every time I have a snack I feel satisfied. Every low carb ketogenic diet snack I eat contribute to my health as opposed to sky rocketing my insulin levels. High in fat, which is why fat bombs and leftovers make for great snacks. Not too high in protein. If most of your snacks are high protein, then you may end up eating too much protein in comparison to the amount of fat you consume. Obviously the lower the net carbs the better and if they are zero carbs even better. They are packed with fiber, so the net carb content even though much higher than nut butters are still reasonable. Generally you shouldn't need to snack, but when you do they should fit into your overall macros for the day. Not sure what your macros are? Then use this calculator to calculate your macros or read more h﻿﻿ere to learn more about macros. A good high fat low carb ketosis supporting snack will also help you to eat enough fat, when your meals may be a little light on fat. It can also give you that energy boost you may need, especially before an exercise session. By the way, if you are not sure whether you should be exercising on a keto diet, then check out our post here. For ideas check out all the snacks on this page. They are generally all good except for the few super indulgent snacks like the caramel coated nuts. The last thing that make for a good LCHF snack is size. It is called snack for a reason, make it small. Sorry, corn is a grain and shouldn't be eaten on a keto diet. It is also high in carbs. For many of us movies and popcorn go together. So what do you snack on at the movies that is keto friendly and not popcorn? Personally, I steer away from the movies as much as possible, because the smell of popcorn is over powering and I have an emotional attachment with popcorn at the movies. I roast pecans or walnuts in the oven with salt until lightly brown. Leanne makes these by frying pork belly pieces in coconut oil. She seasons them with sea salt and five spices. Go here to see exactly how she makes it and for the recipe of her dipping sauce. I know these are not exactly popcorn, but these popcorn substitutes are as close as you are going to get to keto popcorn. For more information or details on where to get these popcorn substitutes, scroll back up to our best low carb snacks to buy and our favorite snacks you can easily make yourself. So, you really want to have some popcorn and want to know how many carbs there are in a cup of popped popcorn, so that you can work it into your macros? There are approximately 7 grams of net carbs in a cup of popped popcorn. Bare in mind that a small popcorn container at the movies contains at least 6 cups of popcorn. Yeah the carbs add up really quickly. Watch Dr Berg in the video below explain exactly how many carbs there are in popcorn and why even though he loves popcorn, he believes we shouldn't eat it on a ketogenic diet. As you'll see in the video, from 1 ounce of popcorn kernels you'll get about 2 and a half cups of popped popcorn. There are 22 carbs in these 2 1/2 cups of which about 4 is fiber, leaving you with 18 net carbs. The short answer is NO. Peanuts are legumes and not nuts and legumes are not part of a keto diet. There are a number of reasons why people do snack on peanuts and peanut butter on a ketogenic diet. Peanuts and peanut butter are cheap compared to nuts and nut butter, so it is a more affordable snack compared to many other snacks for ketogenic diet. They are packed with fiber so the net carb content, even though much higher than nut butters, are still reasonable. If your focus is to eat only food items that are strongly ketogenic, then you don't want to eat peanuts or peanut butter. The same is true when you just start out on your ketogenic diet. If however your focus is on your daily net carb intake, rather than the precise foods you eat, then go ahead and have raw peanut butter. If you are in a maintenance phase, then you are probably more focused on your total net carbs for the day. So have them if you want them. Lastly be sure that you do not have a peanut allergy as it could affect your weight loss and general health. If you asked for my personal view on whether peanut butter is good for keto. Then my answer is no. But it may be different for you. When you start out, give it a miss for a while and later if you want to introduce it back into your diet, experiment! A fat bomb is a low carb high fat treat that can be savory or sweet. 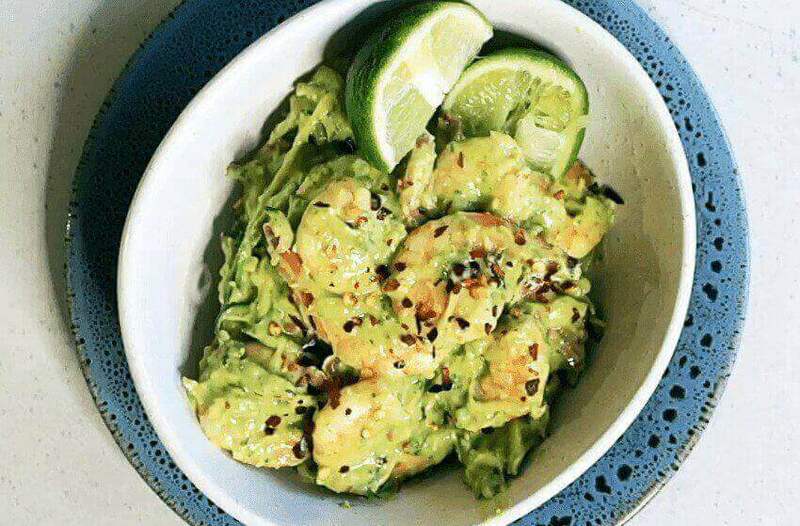 Fat - like coconut oil, nut butter, low carb mayonnaise, butter, cream or avocado. Flavoring - like sweeteners (stevia, xylitol, etc. ), cacao, cinnamon, ginger, berry, lemon or vanilla. Add ons - like egg, salmon, bacon, chia seeds, nuts, coconut and so on. The fats help to stabilize blood sugar and gives you an energy boost. The bacon and egg balls I listed above is the perfect example of a savory fat bomb. There are so many sweet fat bombs. One of my personal favorites is berry with cream cheese, full fat cream or butter, sweetener and vanilla. 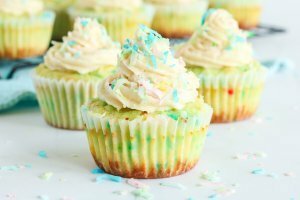 Do we really need fat bombs? If you are very young, you may not have an extreme fat aversion. But if you are in your thirties or older, you may be from the generations that were constantly bombarded with how bad fat is. For many of us, eating fat is completely unnatural and when we start an LCHF diet it is often hard to eat enough fat. The idea of fat bombs may still be hard to stomach, but because of their size may be easier to do than adding lots of butter to food or eat fatty meat. Having watched Jason, you may be surprised that bodybuilders can train and perform on a ketogenic diet. To discover more, you may find our keto bodybuilding diet interesting. Fat bombs can give you a quick boost of energy before gym and is a great healthy way to indulge in a little healthy sweetness. If you have any ideas to add to our keto snack lists, drop us a line and we will check them out and add them. We'd like to hear which snacks you buy regularly and which are your On the Go favorites? If you are on a budget, which is your most affordable keto snack and what keto diet snacks do you splurge on? OMG! I made your caramel pecans. They are really good! Because of your warnings to be careful about burning the sauce I stirred and stirred for what seemed like an eternity – wondering if the sauce would ever get to that beautiful caramel color. I was so happy when I could see the change in the color. I will be making these for Xmas to add to my cheese platter. I am sure some of my guests will ask for the recipe. Thank you so much for sharing. I burned my last batch. 🙁 But it is really all about patience. I also love my coffee and probably drink too much. In the morning, I add butter and MCT oil or coconut oil to my coffee. Later in the day I drink it black, but you can also add cream or maybe a nut milk. Can I drink a decaf venti latte with low fat milk sugar free vanilla and extra shot? Not really. It has 19 grams of carbs. So, if you are trying to stay below 20 grams of net carbs, that is kind of your whole day’s allowance all in one. For tips to make better low carb coffee choices, check out this article from Vicky at TasteAholics. How can Quest bars be a good Keto snack when they have 20+ carbs for one bar? Quest bars have 20 grams of total carbs. Of that 14 grams are fiber and 2 grams are sugar alcohols. When we calculate net carbs, we deduct both of those. So there are 4 net carbs per bar. If you were to follow a variation of the ketogenic diet, where you count total carbs, then you’ll probably limit your snacks to small fat bombs that you make yourself. Noline, do you have a recipe with exact measurements for your bacon and egg fat bombs, please? I found that I needed snacks early on, until my body adjusted. After which, they did not appeal to me anymore. Once our bodies adjust to fat as our main fuel source, it is amazing how we have fewer cravings and the need for snacking goes away, isn’t it? I love that you brought up the topic of whether people should be snacking or not. It’s such a contentious idea. Some people feel that they need to so they can stick to their diet. Others find that there are more benefits not to. I suppose the ideal is to not snack, as long as you’re getting enough nutrients and can stick to your approach. But, it’s easy to see why snacking would be important for some people and situations. I agree with you it is best not to snack, but everybody needs to find the best way for themselves. Incorporating snacking into a ketogenic lifestyle is one way to find a good middle ground and also add a bit more fat if needed.